Inspired by Fabric: Star Flight: Quick, easy, and BLUE! 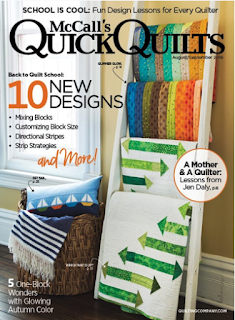 Have you seen the dynamic Star Flight quilt in the August/September issue of McCall's Quick Quilts? It combines two of many quilters' favorite things: stars and chevrons! Lisa Ruble designed this quilt using the full range of blues in the Fleur de Bleu collection. We asked Lisa to tell us about her quilt. Q. Why did you choose the Fleur de Bleu collection? LR: I'm a cool palette person, so blues speak to me. 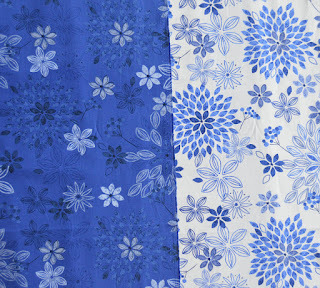 I love the variety of blue prints in the collection and thought it would make a graphic two-color quilt. Q. Do you have a favorite print in the collection? LR: My favorites are the large flowers. I used the blue on the front (bottom row) and then the white print on the back. It is the perfect backing for this quilt! LR: I originally made this design for a friend going through some health issues. I liked the modern feel of the zig zags, but I wanted the design to have something more--something uplifting. I placed around with half-square triangle placement and came up with the star in the corner. 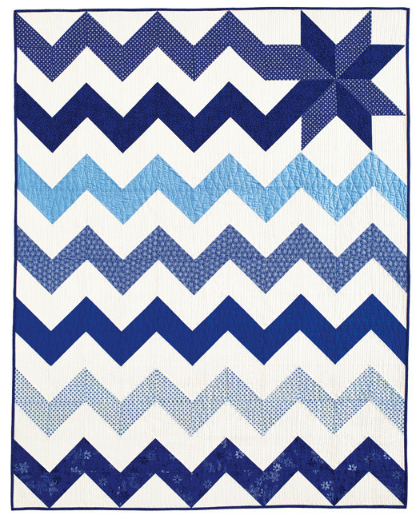 I made the first quilt in yellow and pinks, but I love this cool blue and white version. Q. 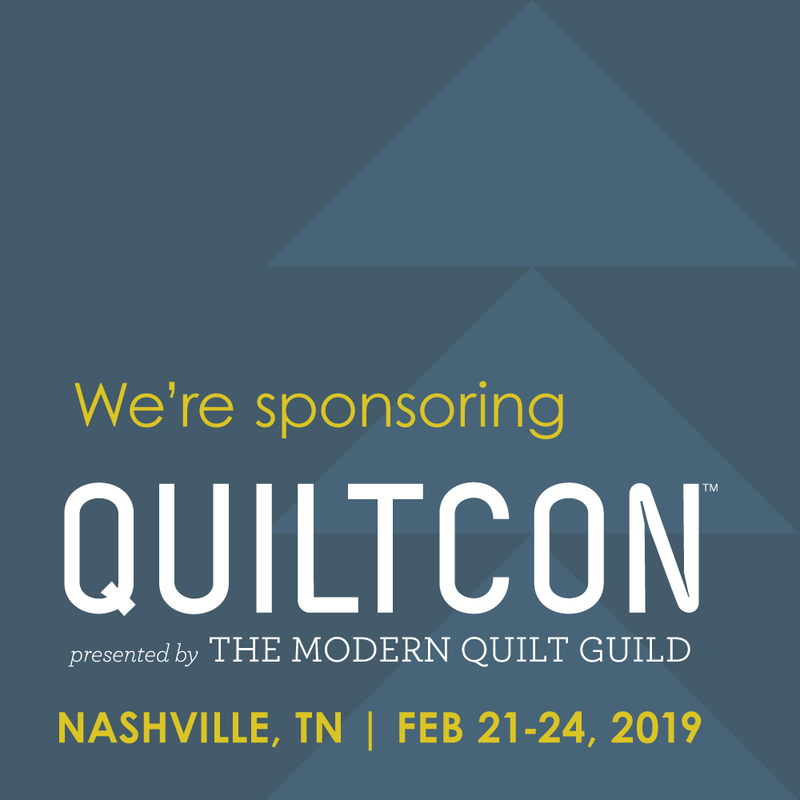 How is the quilt quilted? LR: Diane stitched separate quilting motifs in each zig zag row, which helps define the design even more. It was the perfect treatment for this quilt! Purchase the pattern separately here. 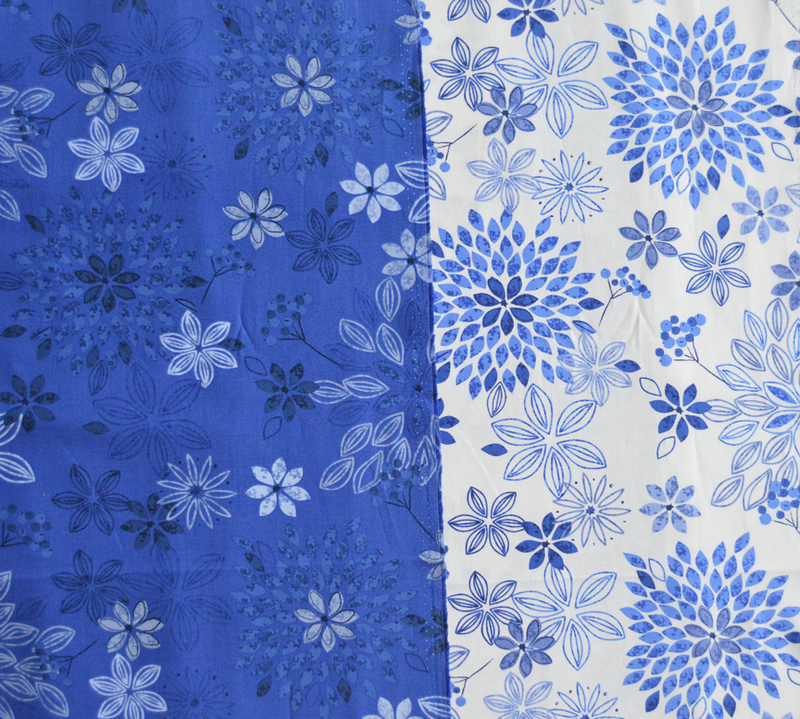 See the entire Fleur de Bleu fabric collection here and ask for it at your local quilt shop. In love with these gorgeous blues? 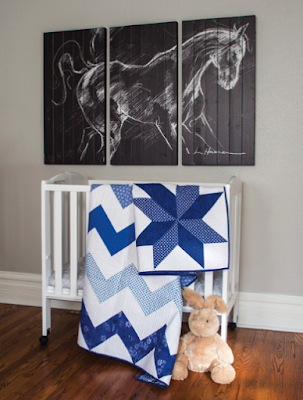 Download a Fleur de Bleu free quilt pattern here and find a bargello quilt tutorial here. 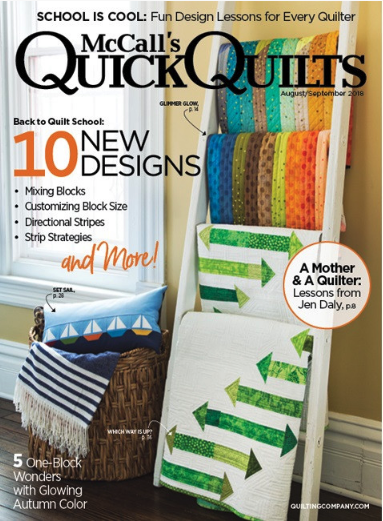 Find McCall's Quick Quilts magazine here.